Join us for a remarkable musical event – four jazz concerts organized under the patronage of Grammy Award winner, Włodek Pawlik. Artists including Włodek Pawlik Trio, Mike Stern, Urszula Dudziak and Mika Urbaniak will perform in the Royal Łazienki. The series of concerts, which will take place in the Royal Theatre in the Old Orangery, will be a unique event featuring world-class jazz in a venue that is regarded as important in Polish history. In the 18th-century historic interiors, you will have a chance to listen to pieces from the 'Night in Calisia' album, which received a Grammy Award in the 'Best Large Jazz Ensemble Album' category, poetry by Jarosław Iwaszkiewicz accompanied by music arrangement by Włodek Pawlik, as well as jazz renditions of Christmas carols. The first concert will take place on 29 September 2017 at 18.00, in the Royal Theatre. 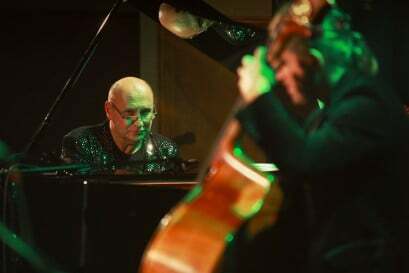 Włodek Pawlik Trio will perform in the line-up of Włodek Pawlik (piano), Paweł Pańta (bass guitar) and Cezary Konrad (percussion). The programme includes pieces from albums such as 'America', 'Anhelli' and 'Night in Calisia'. Włodek Pawlik Trio band has made numerous major recordings in this line-up, which was also behind such albums as the Grammy awarded 'Night in Calisia', 'Nostalgic Journey – Jazz Suite Tykocin', 'Struny na Ziemi', and 'Wieczorem'. The second concert from the 'Jazz in the Royal Łazienki' series will take place on 27 October 2017 at 18.00, in the Royal Theatre. Visitors will listen to music pieces from the 'Struny na Ziemi' album, which consists of poems by Jarosław Iwaszkiewicz with the musical arrangement by Włodek Pawlik. The following artists will perform: Lora Szafran and Marek Bałata (vocals), Robert Więckiewicz (recitation), Włodek Pawlik (piano), Paweł Pańta (bass guitar) and Cezary Konrad (percussion). The musical accompaniment for the poems by J. Iwaszkewicz was composed by Włodek Pawlik, at the request of the Anna and Jarosław Iwaszkiewicz Museum in Stawisko, on the occasion of the 30th anniversary of the writer’s death. In May of 2011, these pieces were released on an album, which – in a ranking by 'Rzeczpospolita' newspaper – was named the best jazz album of the year. Tickets to the second concert – standard for 100 zlotys, discounted for 70 zlotys – are available at the ticket offices of the Royal Łazienki Museum. 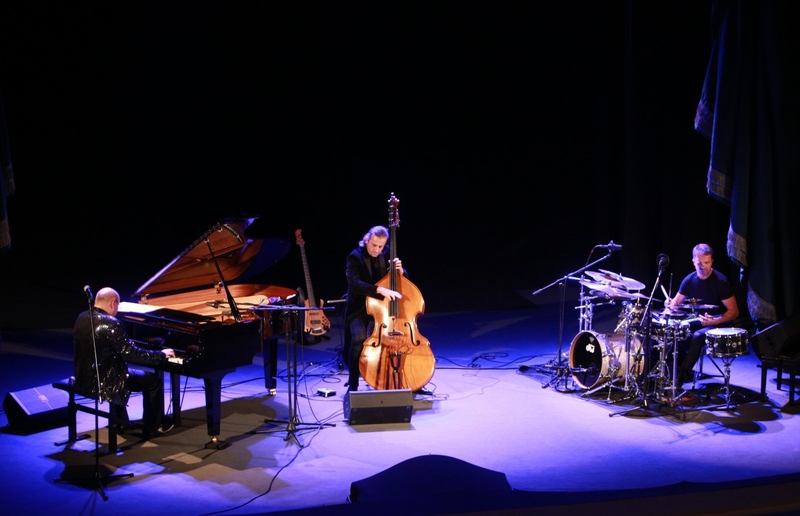 The third concert – Łukasz Pawlik Quartet feat. Mike Stern – will be held on 24 November 2017 at 18.00, in the Royal Theatre. The following artists will perform: Mike Stern (electric guitar), Łukasz Pawlik (keyboard instruments), Dawid Główczewski (saxophones), Paweł Pańta (bass guitar) and Cezary Konrad (percussion). The programme of the concert includes songs from the 'Lonely Journey' album – in the fusion genre, with elements of world music, funk, and jazz-rock. The overwhelmingly positive reviews that the album received and the contribution of Mike Stern – one of the greatest jazz guitar virtuosos of our time – prove that this is jazz music of the finest quality. Tickets to the third concert – standard for 120 zlotys, discounted for 90 zlotys – are available at the ticket offices of the Royal Łazienki Museum. During the last concert, on 15 December 2017 at 18.00, in the Royal Theatre, you can listen to an outstanding mother-daughter duo of Urszula Dudziak and Mika Urbaniak. Włodek Pawlik Trio will accompany them in their jazz renditions of Christmas carols.